Hot runner system used titanium zirconium TZM hot runner rod is a round bar, and high temperature molybdenum alloy rod. Hot runner system used TZM rod is with structure of a solid solution hardening and strengthening of molybdenum-based alloy rod particles. Titanium zirconium molybdenum rods are molybdenum matrix by adding other elements consisting of non-ferrous alloys, the main alloying elements are titanium, zirconium, tungsten. Titanium, zirconium elements are not only for adding element of titanium-zirconium-molybdenum rod, can strengthen solid solution effect, maintain low temperature ductility of the alloy, but also form a stable carbide dispersed phase, increasing the strength of titanium zirconium molybdenum rod and recrystallization temperature, thereby improving the runner titanium zirconium molybdenum rod performance. Hot runner titanium zirconium molybdenum rod contains 0.50% of titanium, zirconium and 0.08%, the remaining is 0.02% carbon. Due to the incorporation of rare earth elements such as titanium and zirconium makes titanium zirconium molybdenum rod runner has a higher recrystallization temperature, high strength, hardness than non-molybdenum alloy at room and elevated temperatures and good ductility. In addition, titanium zirconium molybdenum runner with good thermal conductivity, low vapor pressure, good corrosion resistance, and therefore can be processed. 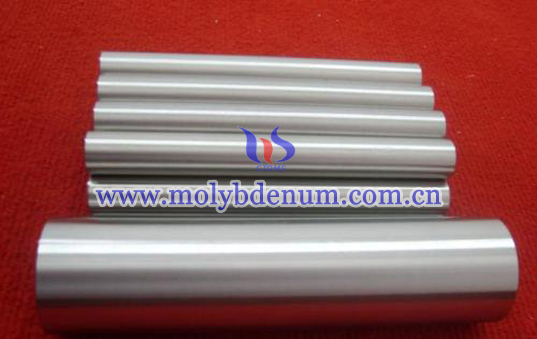 Runner than pure titanium zirconium molybdenum rod molybdenum has a higher heat resistance and better creep resistance. 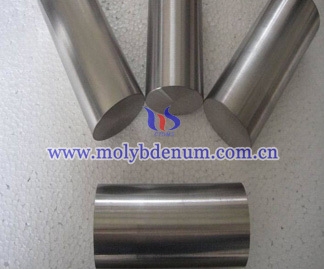 Molybdenum alloy has excellent strength and mechanical stability at high temperatures (up to 1900°C). Their highductility and toughness provide a greater tolerance for imperfections and brittle fracture than ceramics. Hafnium Zirconium Molybdenum(ZHM alloy) is molybdenum alloy which composed of molybdenum as matrix element and alloying elements including zirconium, hafnium, and carbon. The most famous is the zirconium 0.4wt% to 0.7wt% (mass fraction), molybdenum alloy of hafnium 1.2wt% to 2.1wt% (mass fraction) and carbon 0.15wt% to 0.27wt% (mass fraction), namely ZHM molybdenum alloy or ZHM alloy. Four main classes of commercial molybdenum alloy exist. The most common of the carbide-strengthened alloys is known as TZM. Molybdenum-Hafnium-Carbon(MHC alloy) is a particle-reinforced molybdenum-based alloy which contains both hafnium and carbon.